Everybody loves denim :). 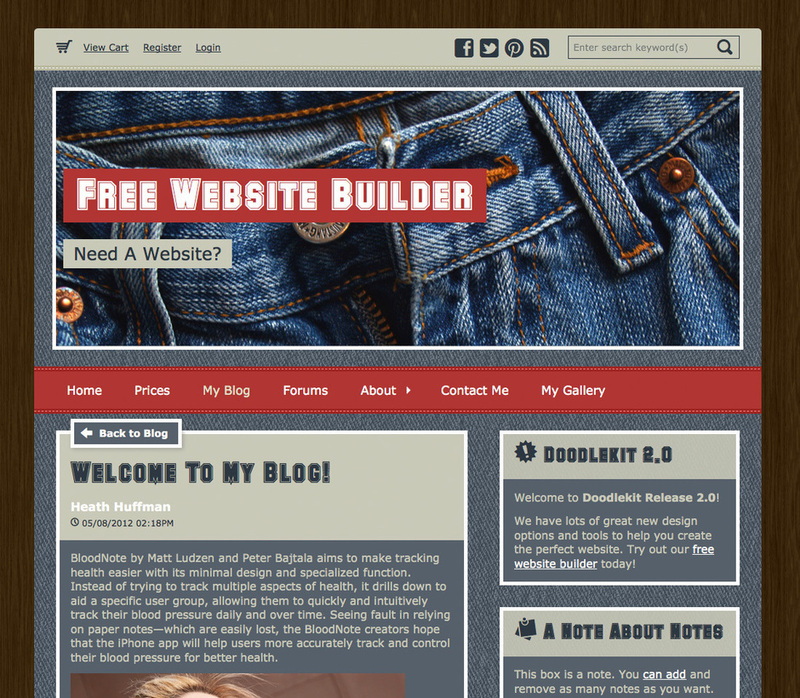 This latest website builder template I have created is called 'Blue Jeans'. It started with a simple denim pattern I found and I expanded from there. I added stitching borders, a little red coloring, a deep dark brown wooden background and topped it off with a bold title font. This should catch the eye of an visitors to your website.